Freebie: Free Tree at Lowe's (April 23)! 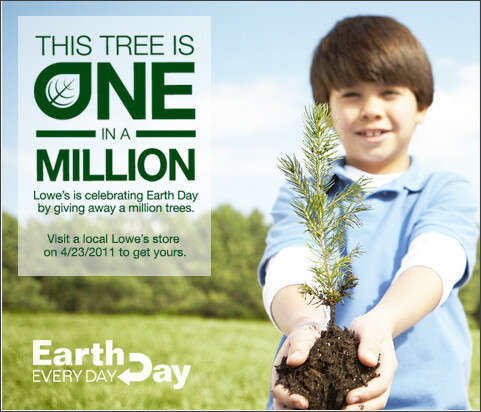 You can get a FREE tree at Lowe's this Saturday (April 23rd) in celebration of Earth Day! They are giving away ONE MILLION trees! Wow! Go here to get more info. FREEBIE: Aveeno Living Color Free Sample!